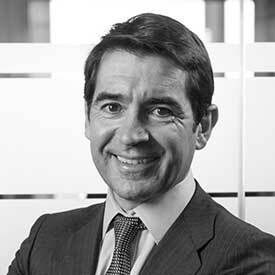 Carlos Torres Vila is the CEO of BBVA. He graduated with a B.S. in Electrical Engineering and a B.S. in Management from the Massachusetts Institute of Technology, where he later also earned a M.S. at the MIT Sloan School of Management. Carlos also graduated in Law from UNED(Spain). He worked at McKinsey & Company for 12 years, and became a partner of the Firm in 1997. He joined Endesa in 2002 as Corporate Director of Strategy and member of its Executive Committee, and became company CFO in 2007. In September 2008 he joined BBVA as Head of Strategy and Corporate Development, and member of the bank's Management Committee. In March 2014 he was appointed Head of Digital Banking, until May 2015 when he became Chief Executive Officer of the bank.